Take 2 tablets daily with a meal or glass of water. MSM is an organic sulfur compound found in many foods,and Glucosamine can be found in healthy cartilage. MSM has been combined with Glucosamine in this formula to help prevent and treat osteoarthritis. These ingredients may help improve bone health, resulting in more joint flexibility, reduced stiffness and swelling, and improved circulation. 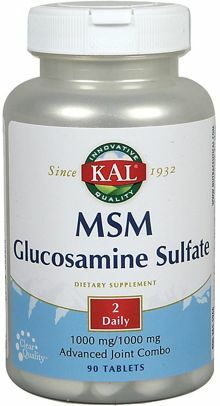 Other benefits of MSM + Glucosamine include improved skin, hair, and nails, increased levels of energy, and elimination of waste and toxins from the body. 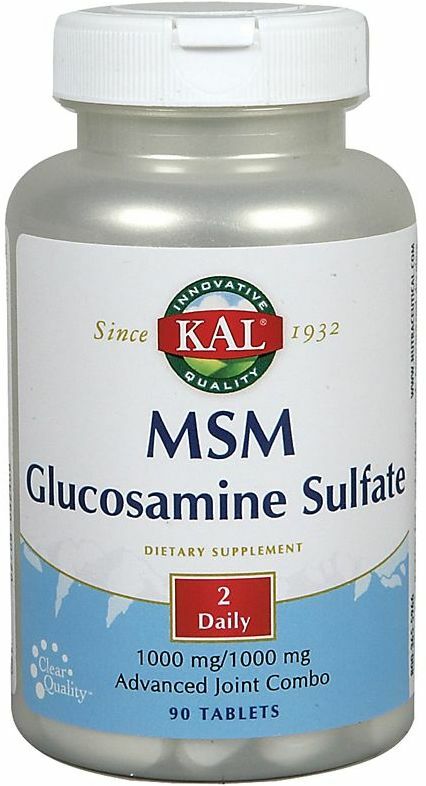 Take 2 tablets of Kal MSM w/Glucosamine in the morning or afternoon with meals.